If you have a gamer in the house, do you know exactly what they are playing? Since you can only gather so much from the box cover or screenshots, you may feel in the dark about the games that consume so much of their time and attention. And if you aren’t a gamer yourself (or, in fact, “hate video games”), you are definitely not very likely to play it for a few hours to get the feel of it. So you try Googling “game reviews.” Whoa. Suddenly you are plunged into a world of game fanatics (because “enthusiasts” is way too tame.) Most of these sites are geared toward those trying to pick the next third-person shooter or simulation. 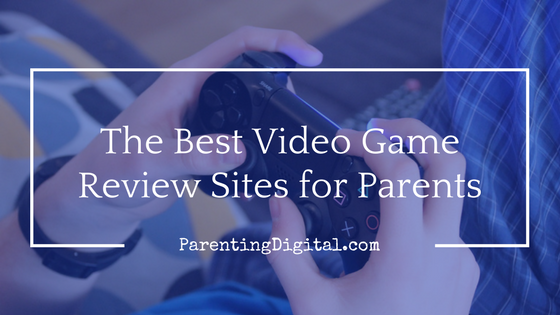 Fortunately for the non-gamer moms and dads, there are a few places you can turn to get the best video game reviews and insights specifically aimed at parents. Before diving into the in-depth reviews, you can usually just check the ratings assigned to the game as a starting point. It is important to understand that these ratings were not assigned after reviewers played the game for hours. Usually, the rating was chosen based on the information the company chose to share with the ratings board. Still, it can give you a heads-up as you decide on the game’s appropriateness for your kids. Here in the U.S., the Entertainment Software Rating Board (ESRB) maintains a system for educating “consumers, especially parents” by offering guidance and information about each game. 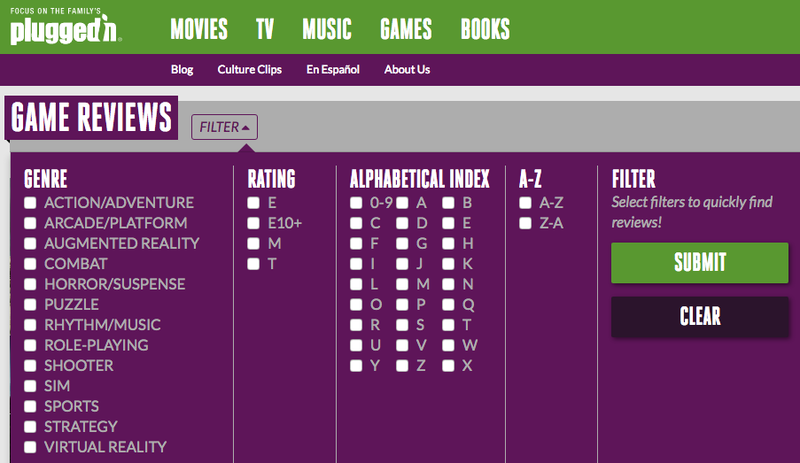 The rating system includes a basic rating (six categories from Early Childhood to Adults Only), content descriptions, and a list of interactive elements. Great Britain maintains a similar, age-bracketed system called the Pan European Game Information (PEGI). Australia has its own Classification Board. It also bears noting that the ESRB and most other rating systems are clear that they don’t, or can’t, rate the online, interactive elements of a game. This would include a chat feature where gamers can communicate via text or speech. Going beyond a simple rating, video game reviews for parents can better guide us to make the best decisions for our families. Here are five video game review sites to reference. One of the best review resources for all things media, CommonSenseMedia has some of the most detailed reviews on video and mobile games. 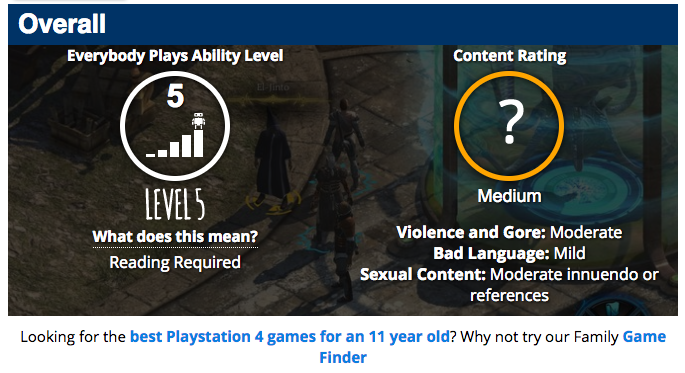 For each game, you can see a “star rating” broken down into multiple categories (positive message, violence, sexual content, consumerism, etc.) Reviews also include a section on specific things parents should know about the game, and a list of practical suggestions in the “Families can talk about…” section. A good portion of this site is gaming news, such as new releases and announcements for the gamers. But there are really solid reviews on a range of games. This source also has a bunch of ways to sort and filter to see the games that are the most relevant, including by gaming system, genre, or age. A search tool at the top also helps you find a specific game. Use the search box at the top to find a lot of articles and reviews about specific games. They also publish stories about families and their experience with games and gaming. 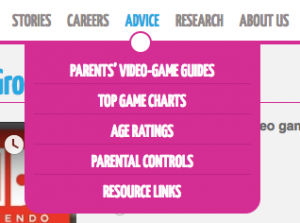 Check out the Advice tab at the top for some great parent guides to popular games as well as weekly “top chart” articles that list current games and their ratings. Based in Britain, they reference the PEGI system in their reviews. Produced by Christian organization Focus on the Family, PluggedIn is best known for their movie reviews. They also have a good number of reviews of current and popular games. The reviews are more narrative than the bullet points or sliding scales you would get in the other sites, but some parents may prefer the thoughtful, detailed reviews you’ll find here. Also based in Britain, Everybody Plays offers a good set of articles, guides, and reviews. 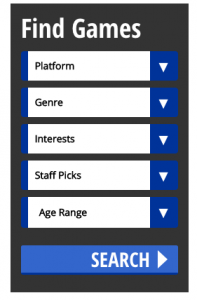 They have a handy Game Finder feature allowing you to turn filters on and off to find appropriate video games based on various criteria. The reviews themselves are detailed and geared toward gamers, not parents. Many of the reviews, however, have a link (at the very bottom) to a well-written parent’s guide. Here, they offer helpful descriptions, and they weigh in on the mature content and the ease of play for the game. Sometimes digital parenting is more about educating yourself than immersing yourself in the same world where your children live. If you aren’t a gamer, or like me, you grew up playing very different games than those our kids are playing, you may feel like you’ll never really know what they are up to on their Xbox or PS4. Ask them about their games. Be interested in the story that the game is telling. Seek out why it is so enjoyable to them. Or ask them why they think they want that game so badly. Then, use the sites and tools you now have to dig a little deeper. A little knowledge goes a long way in making good choices about your kids’ media. What are your experiences when it comes to the games your children play? Any other tools you’ve found helpful?